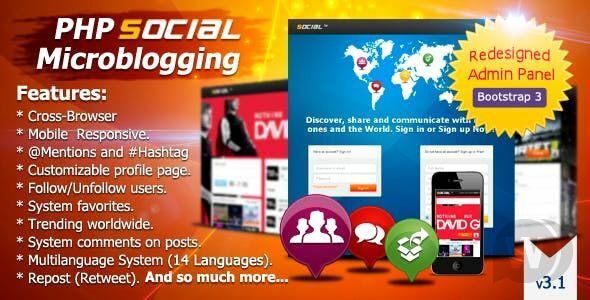 PHP Social Microblogging Twitter is a script style, designed to share news, events, or simply what you want, through publications of 140 characters, and may refer to other users, create Hashtag and share with other site users. a part of it can upload images, videos from Youtube or Vimeo. Follow other users, send direct messages and other features that will be described below.